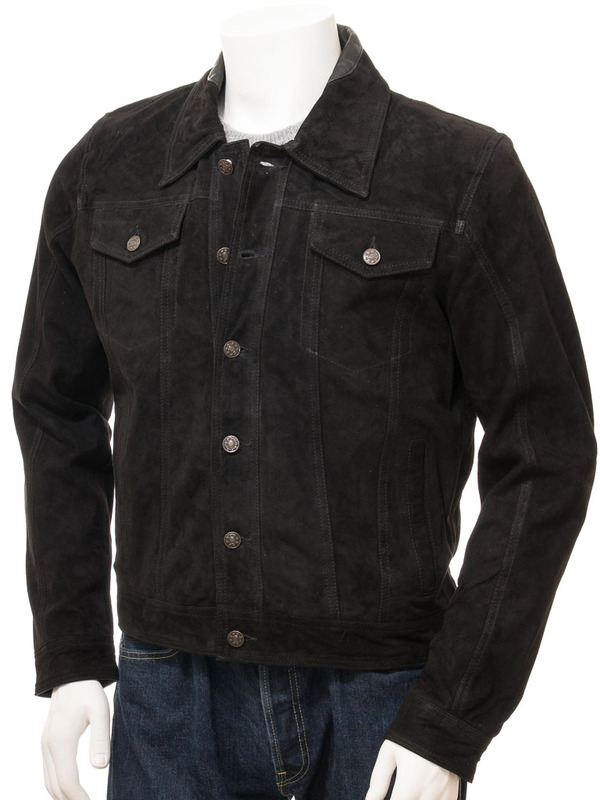 A beautifully crafted, black suede version of the iconic jeans denim jacket. Sometimes known as a trucker jacket or Lee Rider, this style was made famous as tough work wear for cowboys. 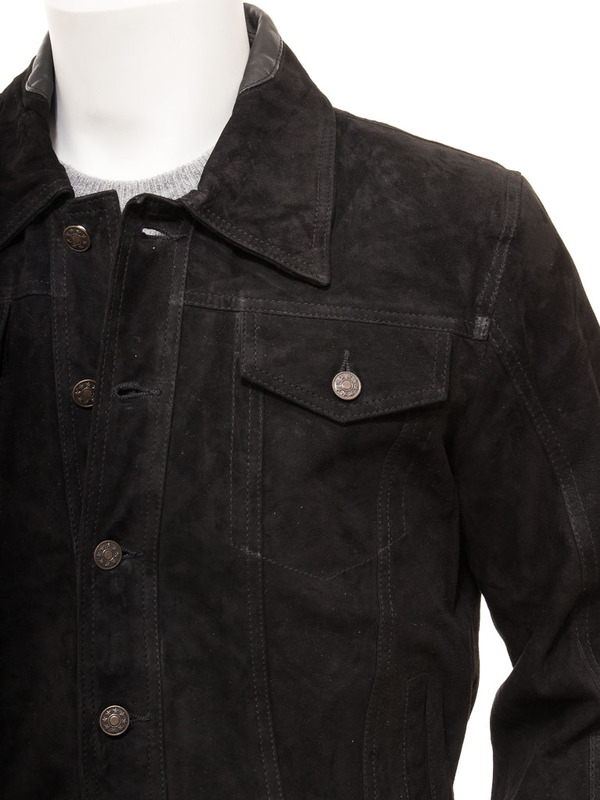 We've taken those original styling cues and applied them to a high-grade goat suede. 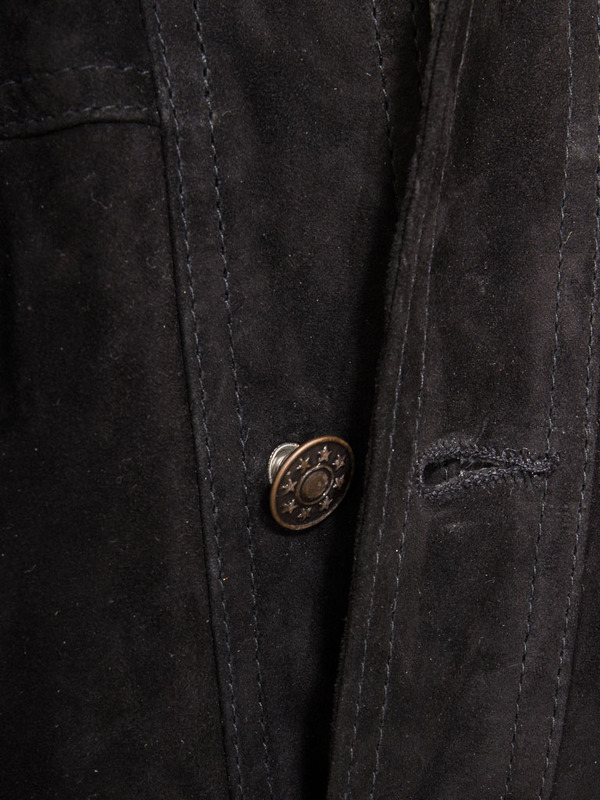 Our version features brass riveted buttons, two working flapped pockets at the chest and jetted side entry pockets on the waist. The shirt collar, vertical panelled seams and button adjusters on the waistband waistband are all authentic features as well as the buttoned gauntlet cuffs. What is different however is the full lining we have on the interior. 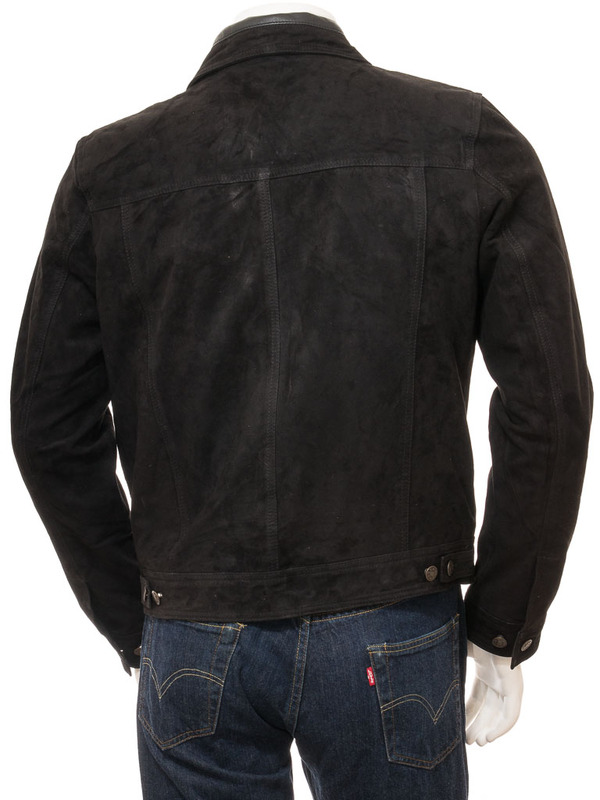 This adds an important level of comfort to the jacket and allows us to include two more leather trimmed pockets, one of which is zipped.